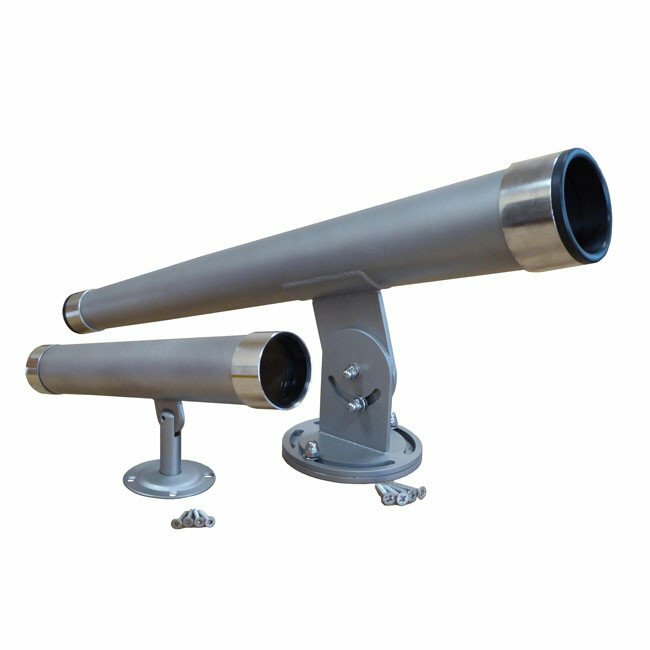 A range of two telescopes manufactured in robust stainless steel suitable for any commercial playground. A range of two telescopes designed for use in commercial playgrounds and produced in accordance to EN1176. The telescope is manufactured from conical shaped sand blasted stainless steel with two polished stainless steel rims encasing twin shatter proof windows. Each telescope is suplied with a fixing plate and screws.